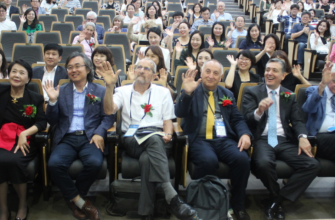 RAIL director, Dr. Ike Choi, was an invited speaker and participant in the Global Forum of Lifelong Education hosted in Suwon, Korea. Scholars from Europe, the US, and Australia were hosted by Ajou University college. The talks centered on the sustainable development of lifelong learning. Please check out the links below for local coverage of this important event! RAIL researchers have designed and implemented a virtual reality program that provides children a way to safely learn and practice smart pedestrian behaviors. 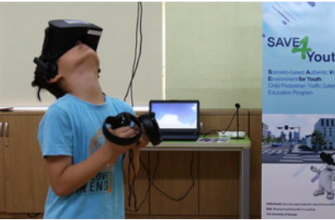 Based on international traffic accident statistics and real-world stories, the RAIL team used learning and design theories to create 3 challenges, or scenarios, for the virtual environment. 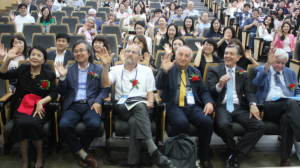 A special partnership with Globepoint, Inc, as well as Daegu National University of Education, both located in Korea, allowed for the development and implementation of this program with 2nd graders in Daegu City. Please check out the links below for local coverage of this program! 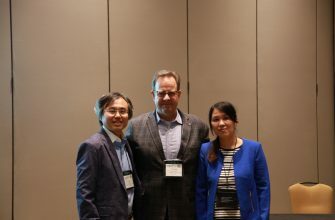 Hui (Rita) Rong presented her paper, Integrating failures in case-based learning environments: A classification of failure for education, at a special session for the ETR&D Young Scholars. Dr. Rong was awarded the Young Scholar award in 2016. 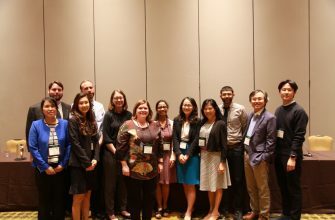 Graduate students who participated in a seminar course taught by Dr. Ike Choi on developing assessments for real-world problem solving abilities presented their unique projects at the AECT annual conference held November 6-11 in Jacksonville, Florida. Lack of affordable and meaningful instruments to assess learners’ real-world problem-solving abilities is one of the key obstacles in implementing and advancing problem-oriented, learner-centered pedagogical approaches. In this symposium, four novel prototypes of assessment instruments developed by four independent teams in the University of Georgia’s Case-Based e-Learning Group over the last year will be presented. In this project, we focused on a key question: how to assess the processes of learners’ thinking when they are facing uncertainty and dynamicity in the course of their problem solving. The overarching theoretical framework to design problem-oriented assessment tools, the prototypes developed, the problem-solving models employed, the results of the initial implementation of the prototypes, and the challenges and limitations faced will be discussed. The content and opinions expressed on this web page do not necessarily reflect the views of nor are they endorsed by the University of Georgia or the University System of Georgia.